Click Here for 100 More Themes and here for 50 Theme Mash-Ups. Do you have any of the themes developed into curriculums? I would be interested in buying them from you, I am in a real pickle for summer camp right now. My coordinator walked off the job and took her summer camp curriculum with her. I’m sorry to hear about your predicament. I do not have any themes developed into curriculum per se. However, if you have specific themes that you have already advertised for camp then I might be able to help you out with some activities and games. You should also think about going to the ACA message boards and posting your situation and needs. People there are very helpful. I don’t know if you are at a resident or day camp, but either way it sounds as though it’s a general camp – not a specialty camp. Cover the basics – games, crafts, camp songs, etc. I have found some great theme ideas, including ideas for decorations, food, games and activities at http://www.birthdaypartyideas.com/. Most recently I found some perfect games for our Survivor week. Hi, found you while doing research. Would you be willing to add a Jewish Summer Camp theme to your list ( http://www.campjudaea.org )? Regardless, thanks for the list, very thoughtful. Hi Joel, I tried not to mix any kind of religion in my list of themes. I made the list hoping that camp and rec pros would get some ideas from it and that it would trigger their own creative juices to come up with themes that would fit their camp situation. I also hoped that people would add to the list here in the comments section. So if you have any other ideas for themes, please share. Thanks. Diane, thanks for visiting. With a quick search I found a couple of websites that had some neat craft ideas for a space odyssey camp. Try http://spaceplace.jpl.nasa.gov/en/kids/projects.shtml and http://familycrafts.about.com/od/outerspace/Outer_Space_Craft_Projects.htm. As for games, I like to take traditional camp games and give them space names. For example, I’ll rename Dodgeball, Star Wars. Instead of having medics I’ll call them Jedis. Now I know that Star Wars is not exactly staying with the “space odyssey” theme, but you get the idea. Giants, Wizards and Elves can be renamed Astronauts, Aliens and Robots. Jenny, that’s the second request for Pirate ideas that I’ve gotten in 2 days. So I’ll make tomorrows Theme of the Day – Pirates. Love that you’ve made this list. I was wondering what you had relating to a traveling theme. We want this years camp to have a vacation theme, with different places the kids would “travel” to. Thanks! Hi Heather, on my list are three themes that fit what you’re looking for – Amazing Race, Around the World in 80 days and Celebration of Nations. Amazing Race combines challenges with traveling around the world. Celebration of Nations is a theme where you can travel the world but with an emphasize on learning about other people and cultures in different parts of the world. I see Around the World in 80 Days (today’s post, in fact) as more general. very thoughtful of u to have listed the themes here. curriculum along with these would be great. I can give ideas for craft but am looking for a theme which can be done at home and not to do with crafts for I did 2 summer camps with art and crafts. this time want to try something different. Hi Ranjani, thanks for visiting. I agree, curriculum for the different themes would be great, but that would be a lot of work and something that I would love to do in the future as a series of e-books, or e-reports. As for a theme that can be done at home, I’m not sure exactly what your looking for. Are you running a camp at home, or is this just for your family, or maybe a daycare center? 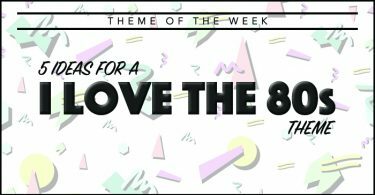 You can take any of these themes and use it as a framework for activities, games, costumes, scavenger hunts, etc. – not just crafts. In fact most of the ideas that I give on each Theme of the Day are not craft related. To be honest I’m not really crafty. I’m more the ropes course, horseback and campfire skits type of guy. 🙂 I hope you find some new ideas and inspiration on this site. Im a martial arts instructor and have been teaching for 9 years and taking for 13. I have developed a camp curriculum that has made the company a good bit of money over the years. How would i go about getting the curriculum published and sold? Hi Robert, I think that’s a great idea. I started to type my answer to your question but there is so much good info that I can give you that I’ve decided to write a post on it. If I had a quick answer I would just leave it here, but I don’t want to just gloss over it. Check back in a couple of days for that post. thanks for replying. I am from India (Bangalore). at home I cant afford to do most of the things u mentioned since its an apartment that I live in though I just loved all that u said u like to do. I wish I figure out someway to do a campfire at least. Ranjani, I understand your dilemma. Running programs for kids doesn’t have to be expensive. With some imagination you can do many things. Most games cost nothing, or you may just need a ball or two. One of the best craft type of activities I like to do is Art in Nature. Take the kids to a place where there are leaves and rocks and such. Have them pair up and create their own work of art using natural materials. Kids love it. Campfires are probably my favorite part of camp, however, there were times when the weather would not allow us to be outside and we would have to do our campfire program inside (where we did not have a fireplace). We still did our normal skits and songs. You can do that anywhere. Again, having kids learn and perform skits and songs cost nothing. In a future post I will write up some of my favorite skits and songs. Make sure you subscribe to the site to get updates on that. I hope this helps. Kriyative Kidz has been conducting theme based summer camps, and let me tell you, it was an instant success. Children loved the themes, parents enjoyed the program as it was integrated with curriculum, yet was being extremely fun filled. We have published it into a manual for other educators to try and see. If anyone is interested, i can send samples. Thanks for the useful ideas in this site and within the nice positive comments, I was thinking to have a holiday camp for kids, something that would be fun but also related to environmental conservation. Its a new thing here in our place but I want to start fr.m scratch. Any help will be greatly appreciated. Hello. Thanks for the great information. I worked as a program director for several summers and one of my favorite units to do was M.A.D. (Music Art and Drama) or even just a Theatre unit. There are so many activities you can do from skits, costume play, make-up, props…to putting on a whole production – depending on how long your camp runs. I’m a drama guy myself and I agree, Rachel, that there are a lot of activities you can do that campers really get into. I’m not sure about the MAD acronym though. 🙂 Sounds a little intense. It also makes me think of MADD. But I guess it’s better then DAM. As Ranjani suggests,I agree, curriculum for diff themes would be really great. I want my summercamp to be uniqur since many schools nearby are offering almost the same activites, which i don’t want to go for it. why don’t you do something about this? I am interested to have look at the Kriyative Kidz sample manual. I love your 100 ideas for summer camp but only some are highlighted and decribed in more detail. Is there any way I can get more information on some of the camps that aren’t highlighted? Hi Tracy, I have certainly been lax on posting ideas for a theme each day. Sorry about that. The linked themes are the ones that are done. I plan on getting some ideas posted for each theme I just need to sit down and write. I should have about 10 more done this week. What themes specifically are you curious about? Please visit our website for more details about kriyativekidz summer camp curriculum. This can help get some idea about our camp. Please place a request specifically there to get the sample manual and other details. For games I would check out UltimateCampresource.com. As for activities, are you looking for activities that would go along with a magic theme? Some of the things I do in my magic class (besides teaching magic) are challenges. I keep a tally of points during the week. The kids get points for how well they perform their tricks, how well they do on challenges and overall behavior. The kid(s) that earn the most points gets a special magic trick prop. The challenges are things like an Ace of Spades hunt, finding the Queen in Three Card Monte, bringing in their own trick from home and presenting it, playing card throw into a bucket or hula hoop, etc. What tricks are you planning on teaching? Any ideas for mystery week? Leah, when I was a kid I would go to the county fair and my favorite thing was not the rides or games or food, it was the grab bags that you bought for $1. The excitement of not knowing what was in the bags was what compelled me to spend my allowance money on them. It was the mystery of it all. Have sheets of paper with games written on them. Then have a camper pull out a sheet and that’s the game you play. Have the cooks come up with mystery meals. Put together a mystery activity like The Case of the Missing Forks. Play Black Magic and other “mind-reading” activities. If you have a dance let campers pull out sheets of paper with songs on them. That’s what the DJ will play. Have grab bags at your camp store. Nice, Renae. I like those. 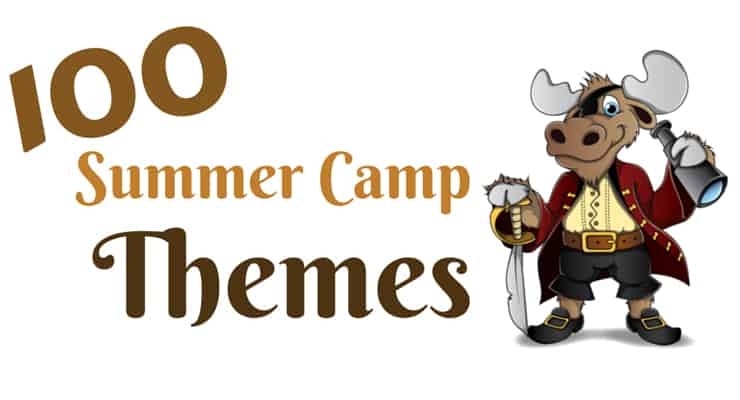 I plan on making a list of 100 more camp themes. I may use a few of yours, if that’s okay with you. I am interested in any education curriculum mostly for math, reading and science grades k-6 that can be used over the summer in summer camps.Do you have any suggestions. Sorry Serah, educational programs are not my forte. My strengths are in recreational programming. My suggestion is to contact the program directors at other educational camps and ask them for some help. I have found that many of the camp professionals that I have met are willing to help out other camp professionals. Just make sure you are not in direct competition with them. Good luck. I was wondering if you could give me some ideas for activities, group names, workshops, classes, and special events for the theme of Outback? I have done a Theme of the Day post for Outback that you can view here. I expand on the theme with a few more ideas for you here, though. When you think Outback most kids will think of Australia in general (or of the restaurant). So anything to do with boomerangs, kangaroos, sharks, surfing, Aussie foods, etc, would be fine. For group names I would go with Australian animals (kangaroos, koalas, crocodiles, bottle nose dolphins, great white sharks, dingos, flying foxes, wallaroos, seadragons, tasmanian devils, sugar gliders, etc.). As for workshops and classes try “Surviving the Outback” a survival course, “How to Throw a Boomerang”, “Playing the Didgeradoo”, “Australian Wildlife”, Cooking Aussie Favorites”, a workshop on cultural differences, etc. And finally, for special events set up a really good treasure hunt, or maybe, if you’re ambitious enough, set up an Outback Amazing Race at your camp. I hope this helps you out, Raven. thanks for all the information, it was very useful! I am looking for a catchy name for my camp. I’d like to focus on Character Building and or Patriotism, but need a name that will excit the kids. Suz, I’ve been thinking about this but have come up blank. I suggest you head over to the ACA message boards and ask there. They always seem to come up with some neat ideas. Can’t believe I found you. Here’s my situation, I own a children’s indoor playground and want to use it for a summer camp. I have no summer camp experience (as a kid or mom) but would love to offer something like this in conjunction with the equipment. (2 story jungle gym as well as inflatables) In your experience could I incorporate the two? if so, how? That’s great that you’re considering running a summer camp. First, understand that it can be a lot of work and it may take you years to build up the camp. However, if you already have a good customer base that is interested in a camp at your place then it may be a perfect fit. You’ll need to plan a full or half day’s worth of activities along with the play-time on the equipment you already have. Games, songs, arts and crafts, and snack time are all things you should incorporate into your camp. Decide on the ages you want to accept as well. This will help you to focus on the appropriateness of your games and crafts. You can have two different play times each day, one on the jungle gym and one in the inflatables. Since you already have a playground business I assume you have liability insurance and such. Also, you may need to hire additional staff (camp counselors). I could probably go on and on about running a summer camp but I think you should start with the American Camp Association (ACA) website. Click here to go to the ACA page that talks about starting a camp. That should get you started. You may want to call the ACA office nearest you to get further help. Good luck. Suggestion to Suz re Camp name: Standin’ Up, or Standin’ for Something. I love all the themes and ideas on this site! Our first camp was simply called “Cool Kidz Camp” and we had a different theme each day and we incorporated character building and nutrition programs into each day. (The Character Counts cirruculum worked well for us.) Since then, we have adopted “Cool Kidz Camp” as our camp title but we have a theme that applies to the whole week: Discover and Explore, Water Water Everywhere, and Native Arkansas. Food, activities, art projects and programs all centered around the theme. This year’s theme is CSI. We always incorporate a nutrition cirriculum that has been proven to combat childhood obesity. It is called Sajai and their website is http://www.sajaiwisekids.org/ It simply teaches energy balance and educates the kids to think about their choices. It was designed as an afterschool program to be done over several weeks but we have had no problem abbreviating the cirriculum for our one-week day camp. We also bring in program providers like the Game and Fish Commission, County Museum Curator, Zoo, State Parks, local and state water/environmental agencies, recycling center, etc. If anyone has any ideas or resources for a CSI camp for 8-12 year olds I would greatly appreciate your feedback. @Shellie – Thanks for the comment. Your theme was well thought out. There are some great suggestions/ideas there. Thank you. I have always had problems with CSI type themes. It’s probably because I was never much into science. I’ll give it some thought though and see if I can come up with any ideas. 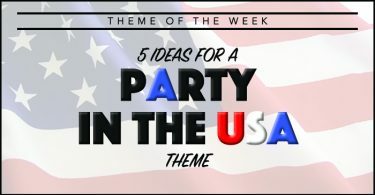 Suz: I think you could also tie in what you want to do with an Olympics theme or the Party in the USA theme. I also love Kelly’s suggestions. I have several six-week curriculums developed. They have a strong math and science focus but use art, music, and language arts throughout to emphasize the lessons. They also have a health education and a career component underlying each group of lessons. They are geared for middle school but cold go up or down as needed with just a bit of tweaking. There is even a suggested field trip for each week. @Natalie – Are these available for download or for sale? If so, let us know where. Help, I am running out of ideas. Every year we have a different theme every week with a new field trip. But after so many years I feel like we have done all these themes you have suggested and have taken our kids to every place in our area possible. How do we refresh a camp like this? @Trisha – I come up against this “wall” every year as well, so I understand what you’re saying. 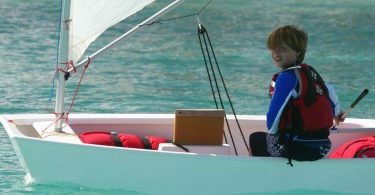 But then I remind myself that it’s not the themes that campers remember years later, it’s the relationships, the firsts (first time they kayaked, first time they ate a cricket, first time they saw a deer, first time they sang in front of a group, etc.) and the environment as a whole that campers (and staff) remember. We change our themes because we think that campers want something new when really it’s usually the staff that wants something new. They are bored with the same theme that’s been done year after year. We have a few themes that we do every year including Survivor, Pirates, and Best of the Best. The campers love them and we keep them fresh by changing the activities of the themes. I don’t think it’s necessary to change the themes every year. In fact, I think camps do a disservice if they don’t keep the popular themes. The same goes for field trips. Keep the ones the campers love. For us the water park is a must. If none of this resonates with you then hold on to your hat because I am working on 100 more themes. I’ll try to have that post up next weekend. Last summer I based my 6-week programs themes by celebrating “Today is National ___ Day”! I researched every month and found many “National __ Day” celebrations. We had a BBQ for “National Cheeseburger Day”, we made rainsticks and rented huge waterslides for “National Rain Day”, and we had breakfast for “National Pancake Day”. I was able to fill my 6-week calendar with many fun, crafty,sporty and yummy ideas. It was a nice break from the whole week theme ideas. You have some great theme ideas that I plan to use this coming summer. Sue, I love it. When is National Pepperoni Pizza Day? 🙂 You can find all kinds of neat “holidays” in Chase’s Calendar of Events book. It’s one of my favorite resources. Hi curt, I am wanting to start a day camp in my local hometown. It would be for children too young to stay at home alone, and too old for daycare. I was wondering if you have any ideas for me on how to get this started. I live in Alabama so I will have to find out the laws and such on that. Anything you can help with is really appreciated!!!! Thanks for the information I have got from you. It’s my pleasure, Hardeep. Thank you for the comment. 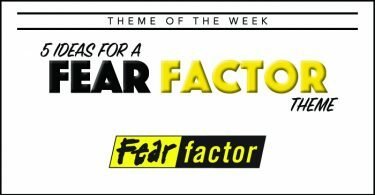 Do you have any ideas for themes for teens? I am running a camp for 11-15 year old girls this year and would really appreciate any help! I want to stray away from the regular “Be yourself” or “Reach for your goals” and really want to make it interesting? Any help would be great! For teens I love Amazing Race, Around the World or Cruise Ship themes since you have so much to work with. There are a wide range of activities you can do including international games, crafts, music, languages, ports, challenges, etc. You can decorate and dress for a variety of countries. If need be you can stress the importance of diversity, humanity, how we are all connected, etc. I’m doing “Places around the World” this summer in our camp and I’m having a hard time coming up with ideas for China and Russia week.. Any ideas?? For China week you could do Pandas since it’s all about Kung Fu Panda 2 come Memorial day! Reading through this list has definitely given me some great ideas for summer camp this year. For Shellie, I was doing a teaching practicum and the other student teacher in the class did a sci unit. I don’t know what kind of resources you have available, but she did a fingerprinting section as well as testing for ph levels. for Jezzy, I did china for international day a couple of years ago, i don’t know what food restrictions you may have at your camp, but i made chinese almond cookies for a snack, but i couldn’t find the game i played. Hi, I’m looking for some ideas for time travel to be used at cubscout camp. Thinking about the 1700’s 1800’s 1960’s 1980’s and future. Would love any ideas!!!!! When we’ve done a time travel theme we would create a large “time traveler apparatus” that could take all the kids to the new time together. We would visit the Old West, a Pirate town, a dinosaur infested area, a Medieval village and the 60’s. I have posts on some of these on my site here with a few ideas. Check the comments on those posts and you may find some additional ideas from other people. One of the ideas is to have the campers time travel and meet iconic people from those times (think Bill and Ted’s Excellent Adventure). They can visit with Shakespeare, Plato, Mozart, Black Beard, King Leonidas, Billy the Kid, Wyatt Earp, The Beatles, and for the 80’s maybe a movie character from Star Wars, Indian Jones or Bill and Ted. We have just updated and decided on our new themes for our camp in RSA. We often get all the permanent staff together and have a “theme meeting” months before camp starts…. it’s like a giant brain storming session and we always come up with new and exciting themes… everyone has to bring their own ideas for a theme, a motivation why we should do the theme and what kinds of activities etc could we do with that theme. It’s amazing how often, it’s the quiet ones in the background that come up with the best themes….. you’ll be surprised as to how well this works and it motivates your staff too. People get excited to see that “their” theme is being used for camp and almost always come running back with more ideas to make it the BEST theme of the season. and for many of our weeks we pick a random country and bring in traditional foods, dances, music etc. The kids love it and they get to learn a little bit about somewhere new…. Hope this inspires some to get creative… if you need activity ideas etc for these feel free to ask! I love your lists, they are a great help! Thank you! I noticed you didn’t have activity ideas linked to “where the wild things are.” When I was working an after-school program I made a week long theme of this book/movie. It was focused on imagination. I drew a 2’/3′ replica of max’s boat to hang on the wall and instead of his name on the side we wrote our program name. Then I took pictures of each of the students with “max ears” and placed the pics on the ship. The craft we did took a few days. The kids got strips of paper where they would draw different heads, feet, and torsos. Then they mixed and shared with each other to make their ultamite “wild thing.” They would then make it out of salt dough (cheap and easy to make) and after baking them the kids painted and eventually took them home. I adjusted the activity to a one day evening program by dying the dough so it didn’t need to be painted. I’ve done this with kids from five years to fifteen years and they all seemed to like it. Laura, those are some great activities. Thank you for sharing. I hope to eventually get a few ideas for each theme. Some themes are just easier than others and “Where the Wild Things Are” is not an easy theme but it is a good one, I think. What were some of the activities and games you did for Rainforest Adventure? Hi Mike, check back at the end of the week and I’ll have a post with some ideas for you. This website is so great; I’m glad that I found it! What about a Top Chef theme or something involving target shooting sports? Any good ideas/suggestions for that? I’m in scouts, and I have a 3 day camp during easter, and I’m thinking of considering the theme about “girl power” for this year! I need some suggestions about some games and activities! Bassima, click on the Girl Power link and it will take you to the Theme of the Day post. There are a few ideas in the post and the comments. Hope it helps. This is an AWESOME site… I am in the final planning stages for summer camp and I have learned a LOT just by this visit. I am looking for day camp themes for a Girl Scout week-long day camp. My biggest challege is that each grade level is seperated into a seperate “unit” and I need a theme for the week that can be used for girls in grades 1 thru 6. Also, the stations are run by older Girl Scout PA’s. Any suggestions are appreciated! Thanks! Great list! This is so helpful! Can you tell me a little bit more about the No-theme camp and what I could do for that? It sounds pretty cool! Almost like a wild card. Also, Performing Arts activities that would last a whole week. The No-Theme is just that, no theme. Many camps don’t have themes so I included that “theme” to represent them. The Mystery Theme to me is more of a “Wild Card” theme. We have a prize wheel and we use it a lot. It can be used for where to sit at lunch to mystery activites and more. Treasure and scavenger hunts for mystery items are big for that week. Performing Arts activities that would last a week? What comes to mind is practice time for a talent show, camp play, campers teaching campers acting, magic, music, and more. Circus acts can be fun like juggling, tight ropes, unicycles, clowning, etc. Bringing in a singing coach would be really neat for hose interested. Karoake is fun. Give the campers who want to karoke time to rehearse throughout the week. Safety is a theme that you do not have that might be nice. You can also include it in the Emergency service area if you want too. Sarah, I’m not sure many kids would be excited to attend camp with the theme of Safety. What kind of activities, decorations and games would go along with that theme? Haha… maybe for Safety they can play with fake blood (the corn syrup Hollywood type) and have relay races/obstacle courses where one person has to to overcome obstacles to get to the injured person and bandage him/her up, then tie ankles together and bring the injured person back to the line. They can have a Firefighter visit camp. For crafts they can make Popsicle stick houses… their only requirements are to make Fire exits (windows & doors). Or they can make Doctor Bags (I’ve done this with pre-schoolers) they cut out black construction paper in the shape of doctor bags and they glue a tongue depressor, glove, cotton ball, cotton swab, etc… inside and on the outside put a red cross and a picture of the child with the title Dr. So and So. It makes the kids feel special. 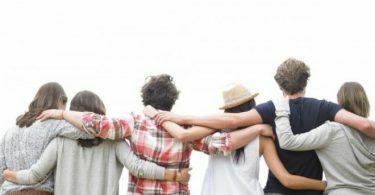 Some of them you’ve already covered (and others really are one of a kind) but http://www.ranker.com/list/most-unconventional-summer-camps/chelsay790 has a ton of wacky summer camp themes. If only half of these camps were around when I was a kid, man, the fun that could have been had! Thanks for sharing the link, Sandy. Those are some crazy camps. Hey! Another fun theme (very broad) is FANTASY DAY!! Knights, princesses, fairies, dragons, vampires.. the list goes on and on! Jessica, there are some ideas around my site like fairy houses, Knights theme, etc. Check out the Harry Potter posts as well since magic is part of the fantasy realm. These are some great ideas! I am hosting a 1 day science-type event. I am having a terrible time coming up with a fun and catchy name! Does anyone have any ideas? We are mostly going to be doing experiments. We have already used the names.. Mythbusterz, Weird Science, and Gadget Girls. Any help would be much appreciated!! I just wanted to say how helpful and impressive your website is. I’ve been program planning for 8 years and have felt in a rut of stale ideas. You have given me some great inspiration and ideas to run with. I can’t wait to start planning. Great ideas and great website! Thanks, Jenn. I love comments like yours. It means I’m doing something right. Our elementary summer program is virtually traveling around the world and beyond! We use technology to discover information and teach. This summer we are “visiting” New York, Mars, Netherlands and Zimbabwe. Skyping with schools or people who are in our destinations has been included in previous summer’s activities. If anyone has ideas for projects or sites to virtually visit, please share! I just found your site and am thrilled. When you run a camp every summer it is really challenging coming up with 8-10 new themes each time. Your list gave me some great ideas. Thank you! I appreciate the comment, glross. Any recommendations on books with camping themes? Loralei, I don’t know of any good books that specifically deal with camp themes. Sorry. 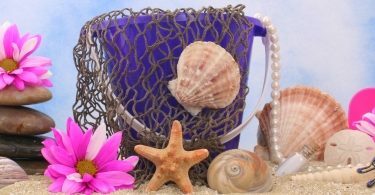 What do you think is a good activity to do for a vacation themed day? I have been checking here for several years, and I appreciate not only the website, but the input and ideas from everybody else! Keep up the great work! A theme we plan to do for 2014 is “Everyday Heroes.” We are a day camp and have many friends and parents that are EMS, Police, Fire and Military, and will be celebrating each of those areas with guest visitors, activities, games and contests. Thank you for the kind words. I love the theme of “Everyday Heroes”. Has anyone done a day camp on Gilligan Island Theme? We do theme weeks at our camp, and every day we have a different theme related to the broader theme of the week. This year I plan to do a Muppets week, with Animal (music day), Miss Piggy (messy day), Bunsen and Beaker (science day), Swedish Chef (cooking day), and of course Kermit (field trip to the local marshlands). This yer I’m doing Gilligan Island. We will run water events every day and have our own professor corner. HaHa! Well, thank you, Whitney. Hi! I’m in the middle of planning a Mad Science theme week. Do you have a curriculum for that?? I’m in a jam for ideas. Thanks in advance! Don’t forget for “Everyday Heroes” people like teachers and even friends. Just saying something nice to a stranger or being a friend to someone can do so much for someone’s spirit. So a friend can be a “Everyday Hero” too. Would you be able to expand on the theme: Urban Adventures? I am curious as to what you mean. Thanks in advance. Urban Adventures are activities done in a city as opposed to in a rural area. Adventures can be anything (scavenger hunts, an Amazing Race, sight seeing, going to a ballgame, a bicycle ride, visiting an amusement park, etc.). This list is just perfect! I’ve been planning on throwing out a little fun outdoor birthday party for my kid and I’ve been stump on a theme to go on. Finally found one thanks to your list and also grateful for the tips on activities to include as well. I’ll be able to properly give my kid a memorable camping party thanks to you! I would also like to point out that I also got a couple other ideas on themes for me and my friends. Good job on the intensive list you made, Curt! Great help for campers planning a party and counselors thinking of a fun summer camp activity for students. Hey! My cousins love wolves and I am wanting to host a wolf-themes camp for about a week. Any suggestions for games, activities, or crafts? Wolves, huh? Well, for crafts you can do an origami wolf head, a paper plate wolf, a paper bag wolf puppet – check on Pinterest for more ideas. For games there is What Time Is It, Mr Fox? but you can call change it with Mr. Wolf. You can find instructions to that game at UltimateCampResource.com. I suggest you take games you like and switch it to be wolf related. For example, Duck, Duck, Goose can be Piggy,Piggy, Wolf. For activities you can make wolf track molds. Check nature-watch.com for animal track products. You could also have the kids create their own version of fairy tales that are ruined by the big bad wolf. Hope this helps. 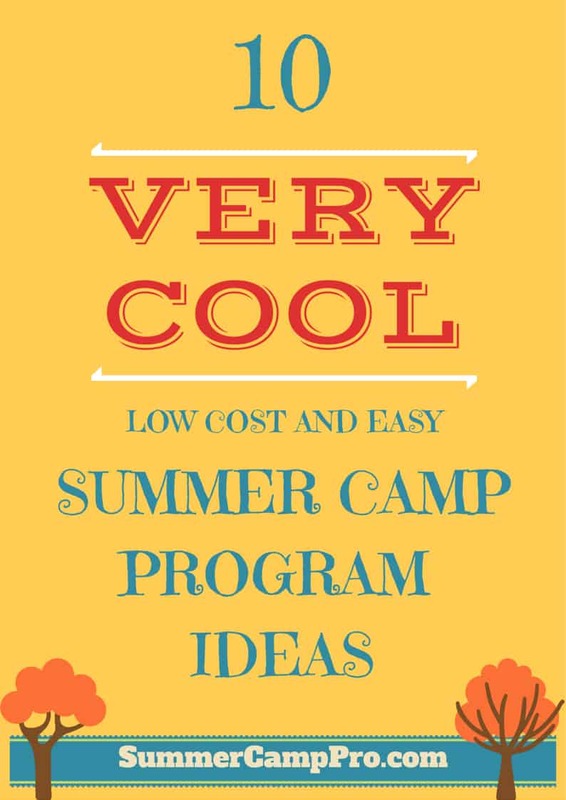 An awesome list of summer camps, thanks for the list. I can use some of these tips to create summer camp at my home itself to engage my kids and I thought of inviting some of their friends to the camp. It will help many to organize best summer camps this summer.